Rowlinson Sorrento Slat Top Fence Panel: The Sorrento Fence Panel by Rowlinson comes in this contemporary and attractive design, perfect for creating a modern border around your garden area. 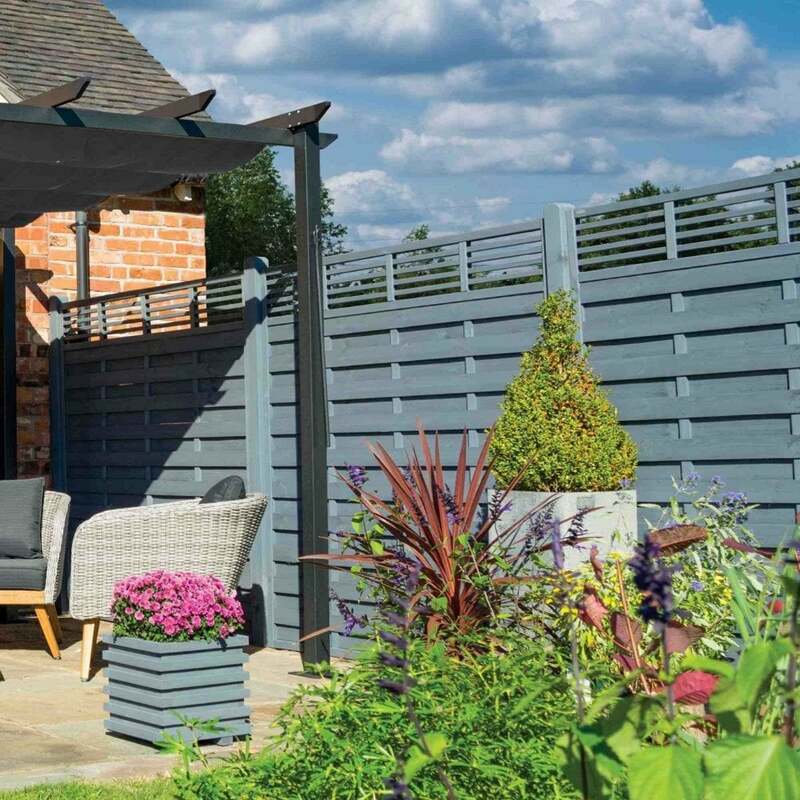 The Rowlinson Panel features an open slat trellis top for a decorative touch and has been pre-painted in grey for a stylish and maintenance free design. The Sorrento Panel is available in three sizes 3 x 6ft, 6 x 3ft and 6 x 6ft to suit your preference.